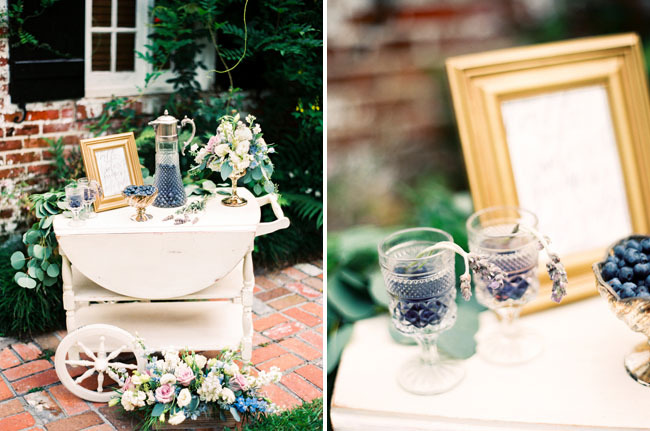 If you’re planning to infuse your day with the most romantic color scheme around, we think french blue + lavender should be on your shortlist. 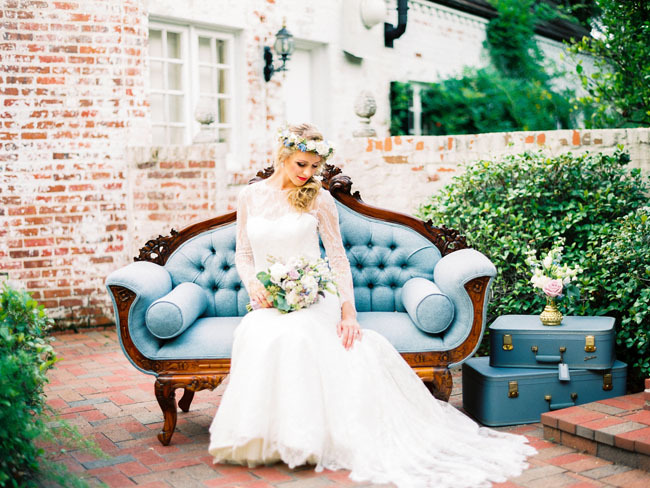 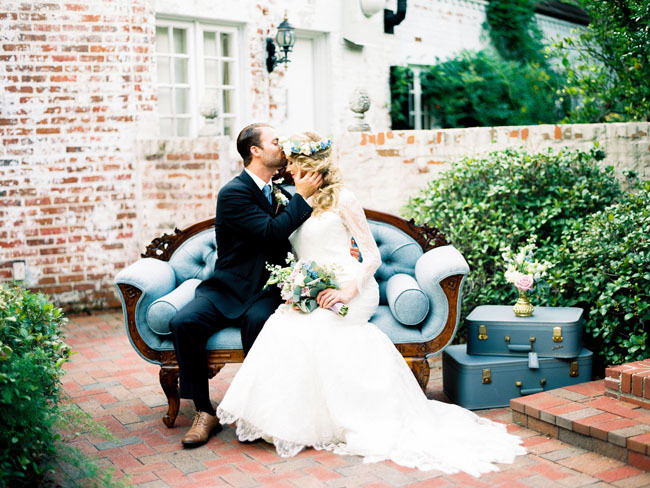 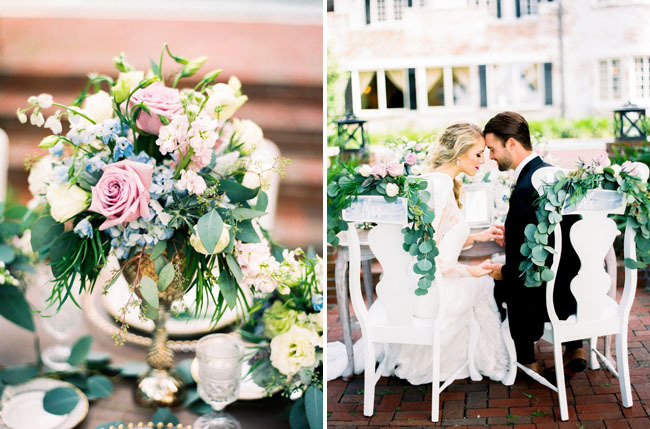 Josh + Rachel from Best Photography agree, so they partnered with the designers at Runway Events + Flowers By Lesley to create a stunning scene bursting with chic + elegant pastel details. 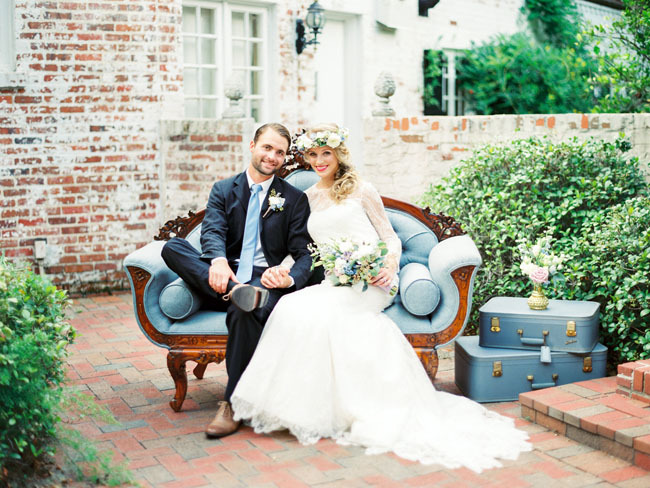 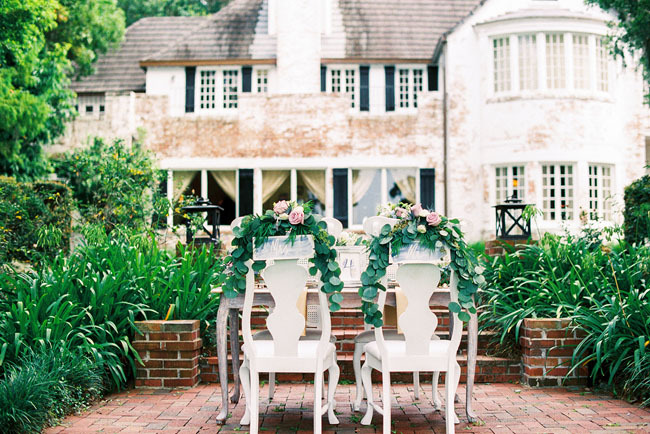 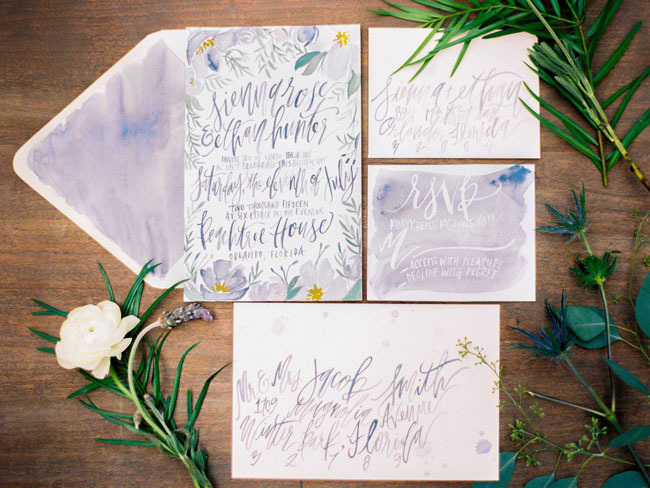 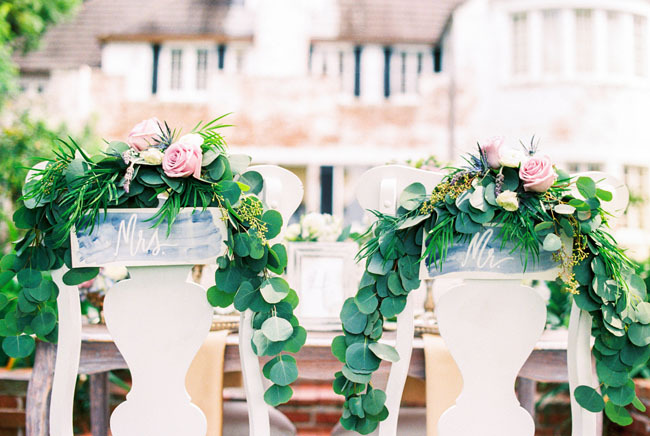 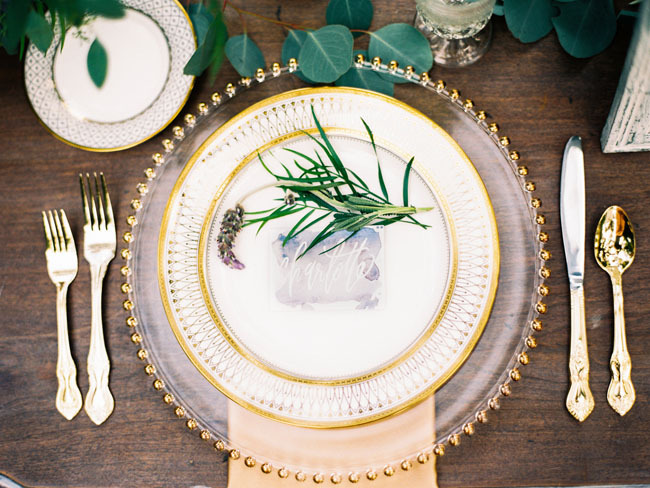 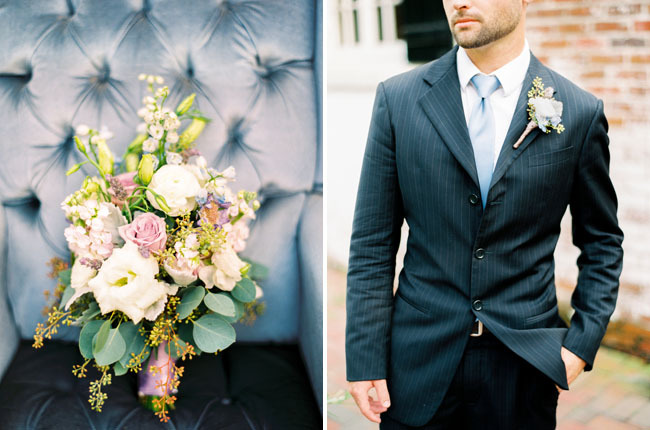 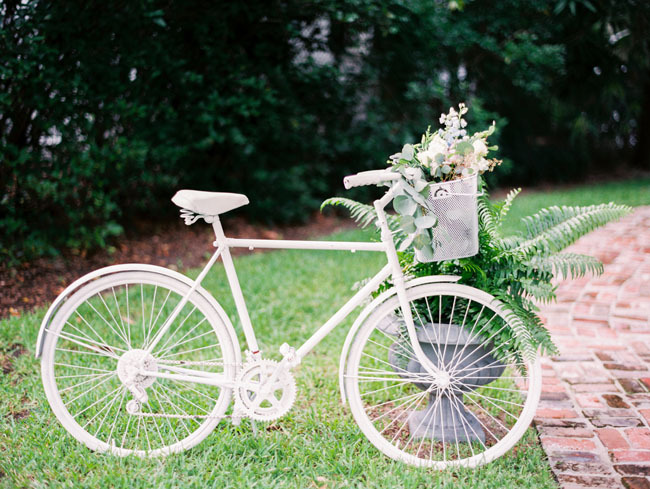 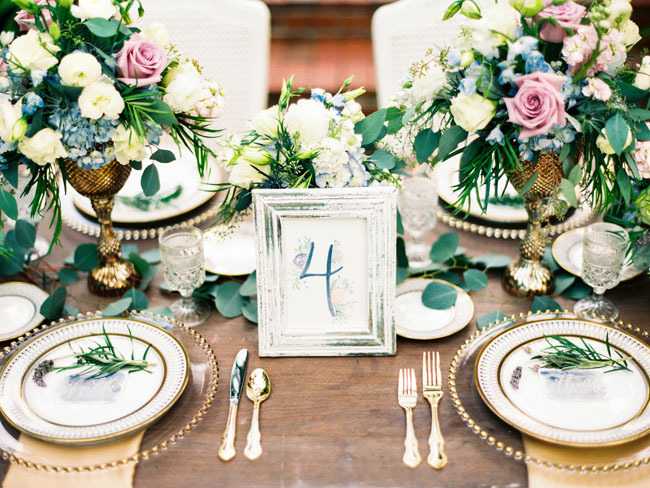 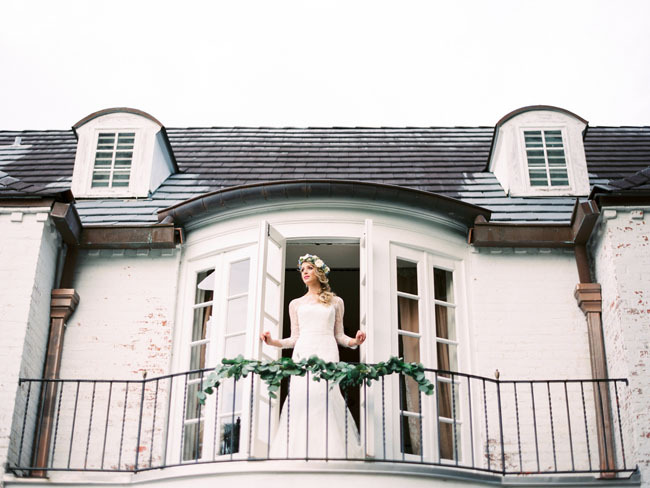 Below, you’ll find plenty of enchanting florals + lush greenery. 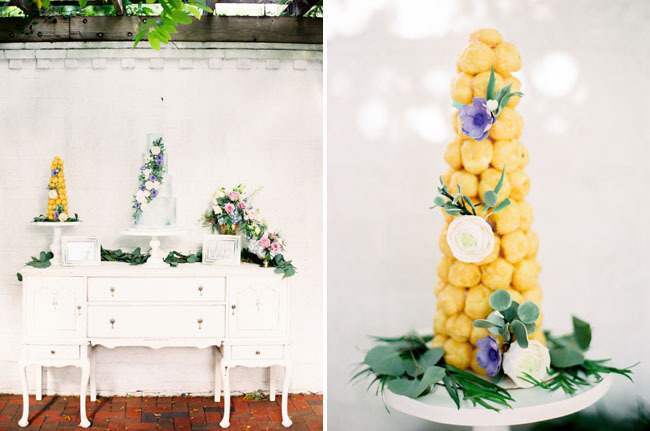 Delicious French pastries + scripted stationery. 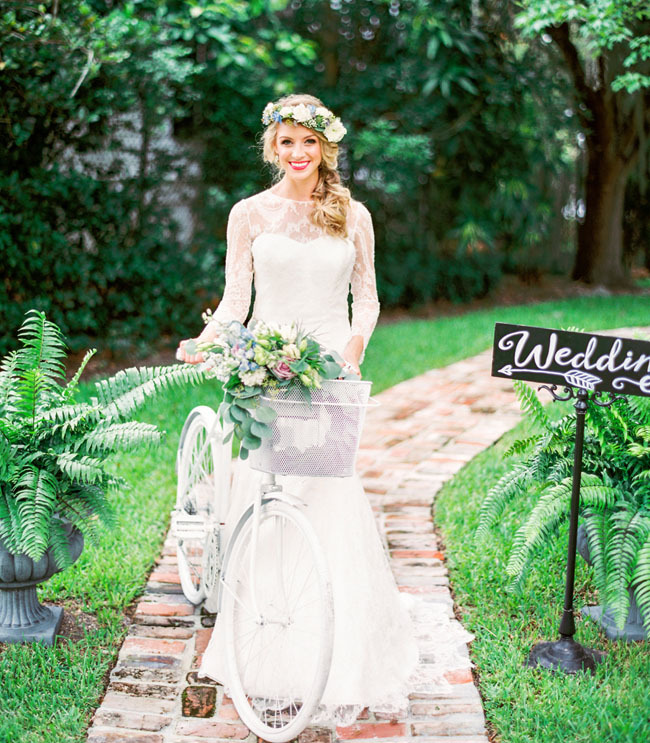 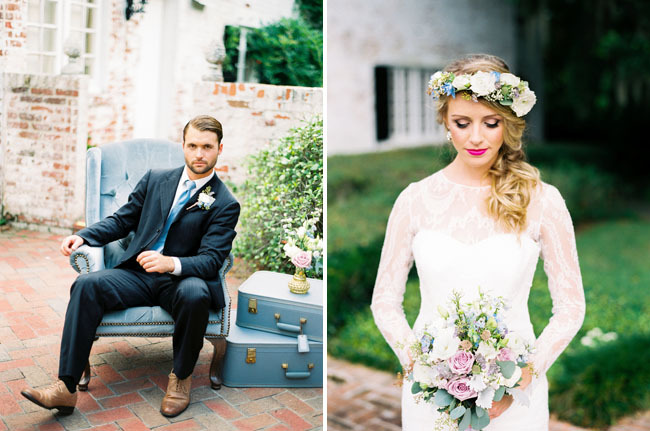 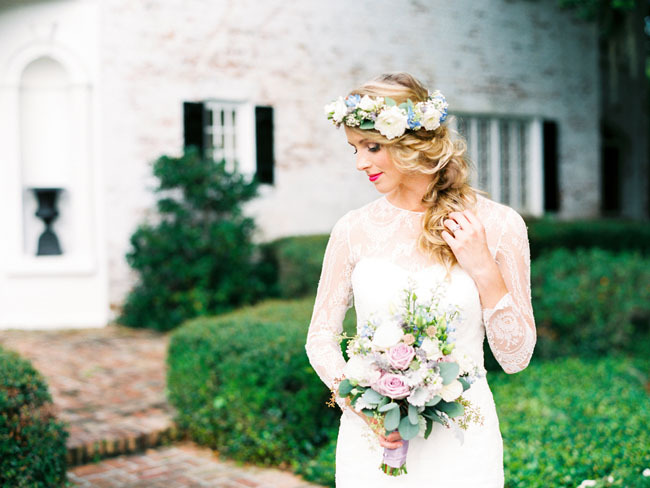 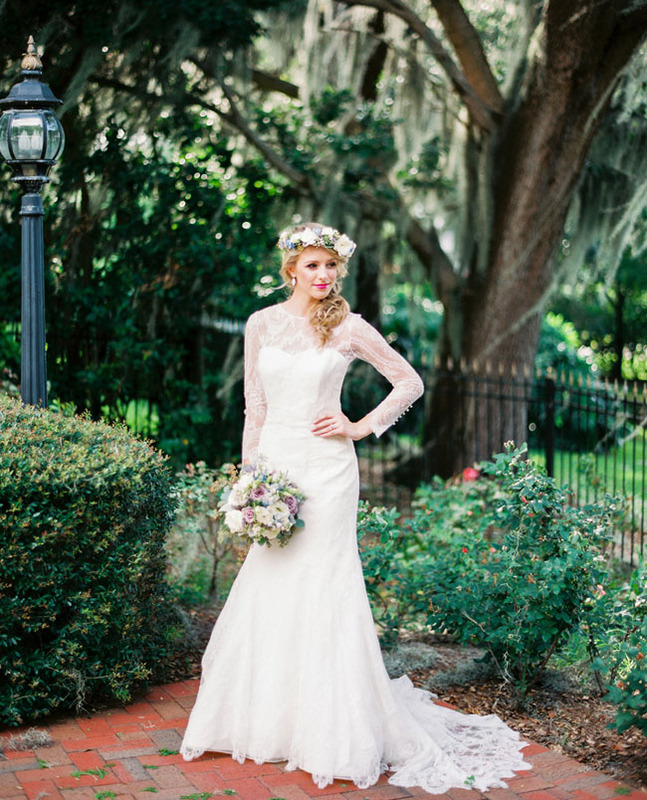 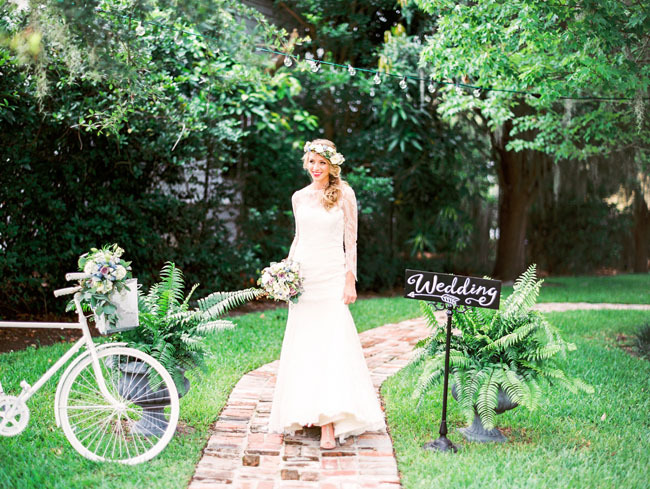 A gorgeous lace dress + a quixotic flower crown. 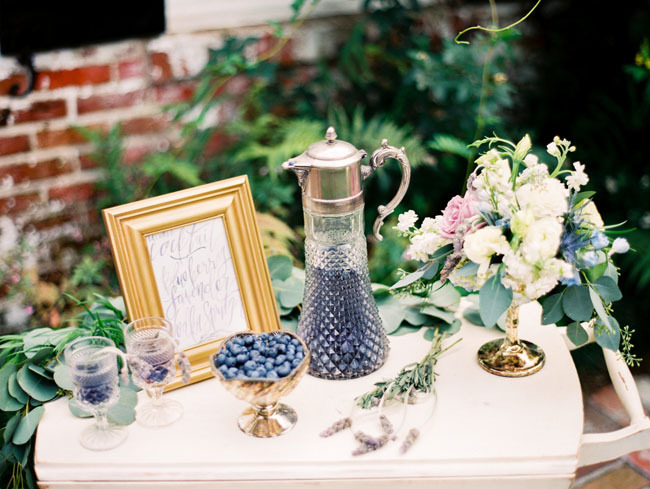 And, of course, lots of ideas for infusing french blue + lavender into your day! 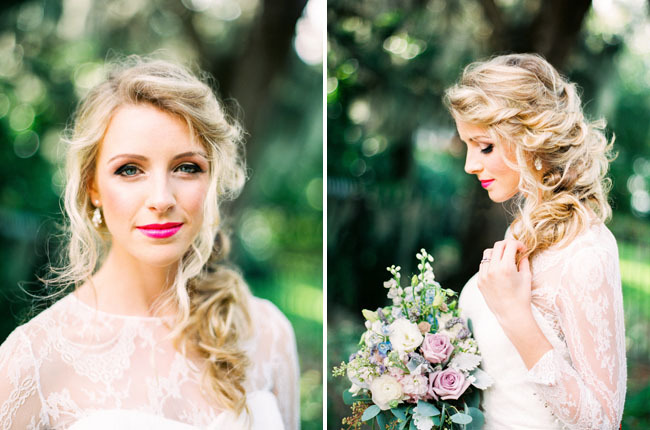 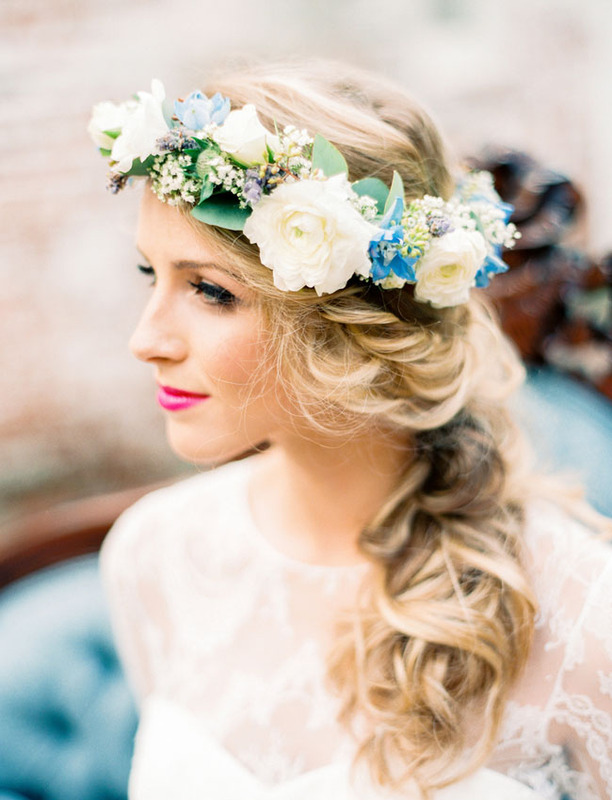 That flower crown is filled with such pretty elements, and we love the textural braid Makeover Station provided. 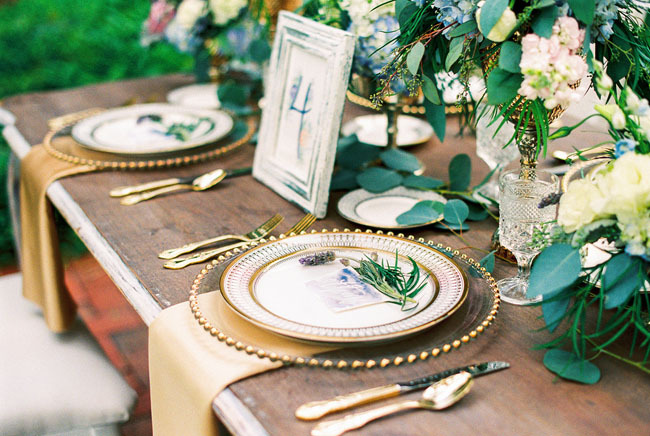 Best Photography says, The table was lavished with gorgeous eucalyptus, lavender roses, hydrangeas and white ranunculus. 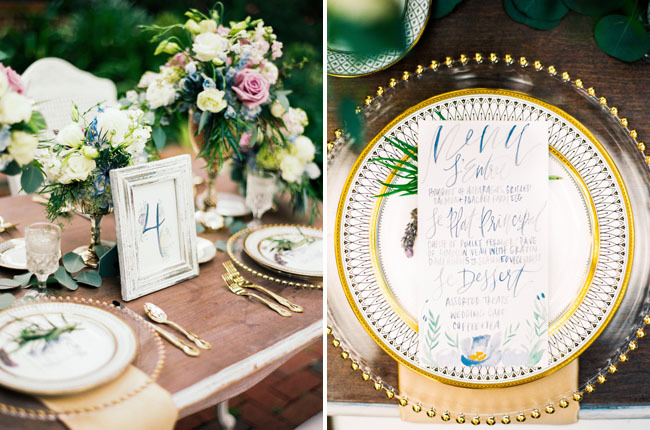 Accentuated by gold flatware and chargers the french scripted stationary and menus showed off exquisite appeal. 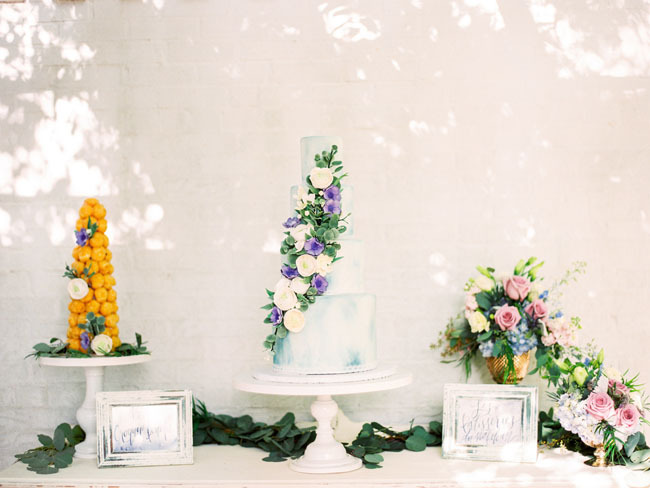 A few other oh-so-important details were the delicious french pastries, blueberry lavender cocktail and a delightful four tiered cake. 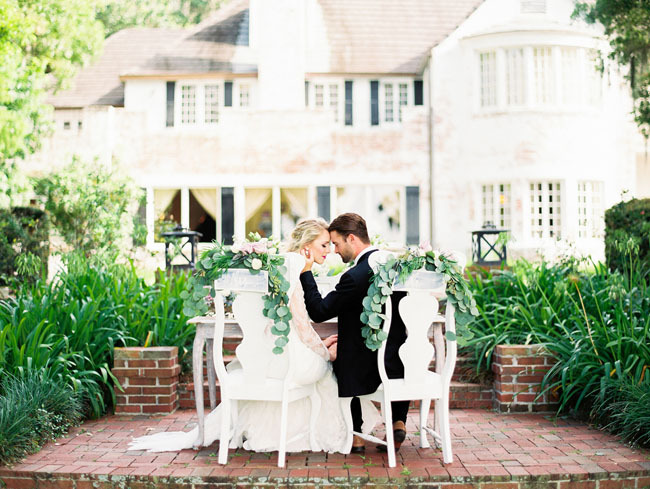 There is nothing more beautiful than saying je t’aime against this gorgeous French inspired backdrop. 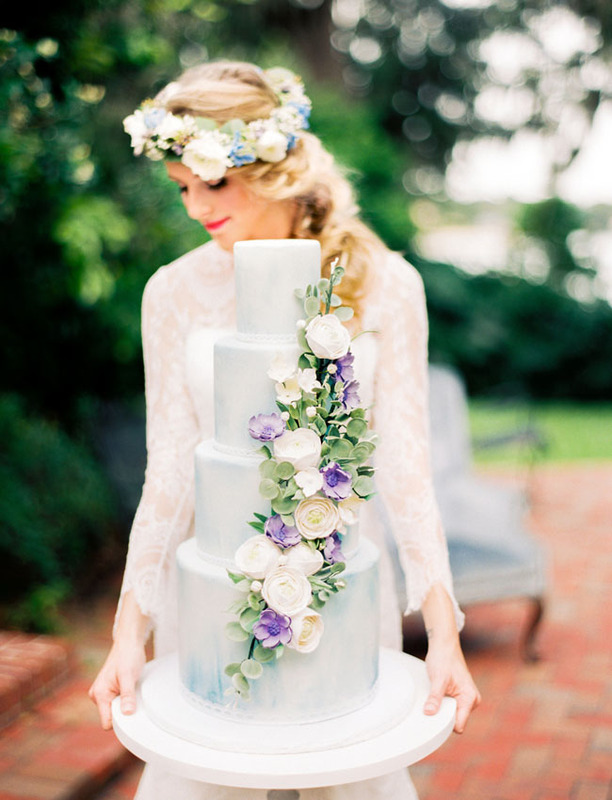 Major love for that massive (and beautiful) cake by The Sugar Suite! 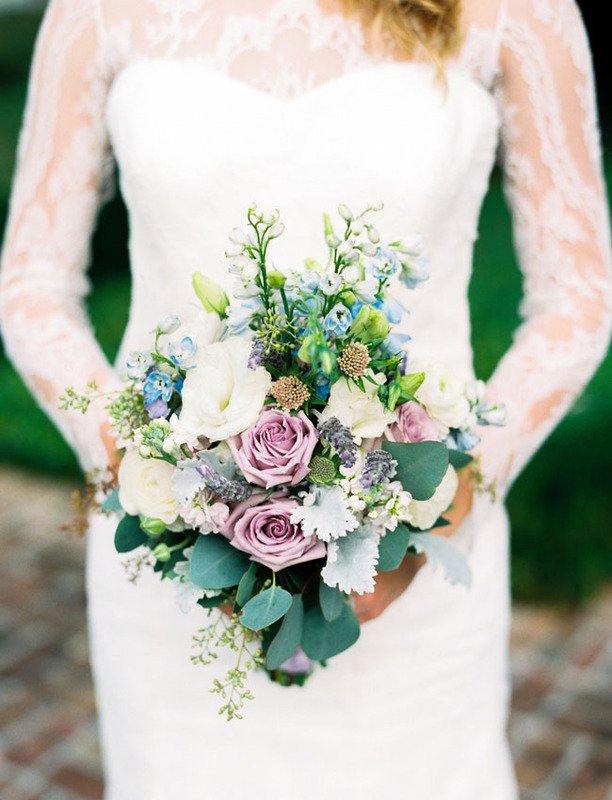 Thanks so much to the team below for sharing! 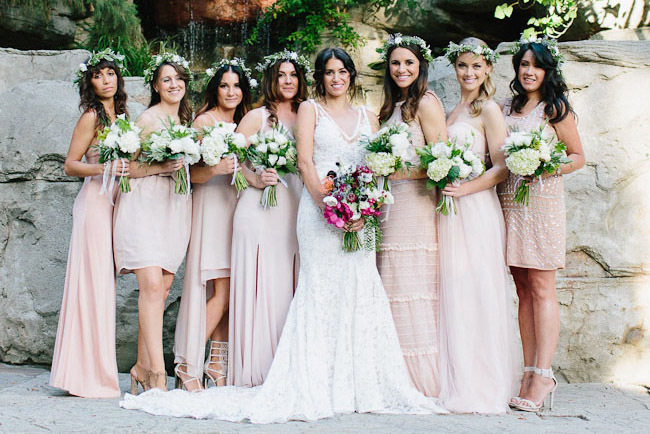 And brides-to-be, tell us, which of you will be working this pastel palette into your day?